The India’s second largest private lender by assets, HDFC Bank, on Tuesday overtook the country’s biggest software services exporter Tata Consultancy Services (TCS) in terms of market capitalization. 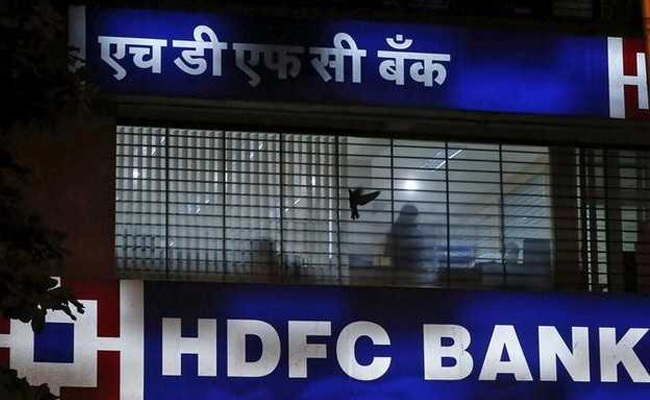 The Bombay Stock Exchange (BSE) data revealed that HDFC Bank ratcheted up market capitalization of Rs 4.73 lakh crore after its shares hit an all-time high of Rs 1,838.45 apiece, 0.79 percent up on BSE. Earlier in the day, HDFC Bank had surpassed TCS to become the country’s second most valued firm.However, it slipped to the third position in the ranking chart at the close of trade. In the afternoon trade, market capitalization (m-cap) of HDFC Bank reached Rs4,73,530.72 crore, crossing that of TCS was Rs4,72,733.32 crore. However, at the close of trade, TCS’ market valuation stood at Rs4,76,045.04 crore, which was Rs2,578.86 crore more than HDFC Bank’s Rs4,73,466.18 crore valuation. Shares of TCS went up by 0.94% to close at Rs2,486.80 on BSE, while HDFC Bank gained 0.62%t to end at Rs1,834.15.